India is one of those countries that you need to put on your bucket list. Not only is it filled with culture, but the people are some of the most hospitable on earth. 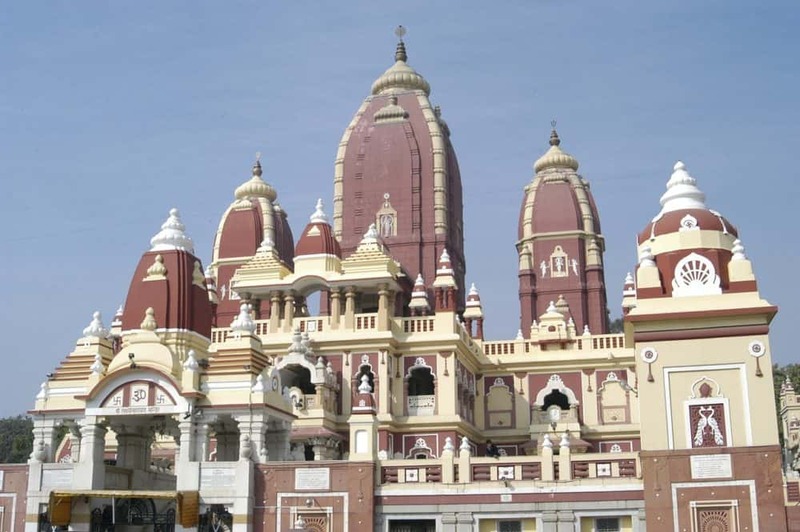 This gay group trip visits its main cities – Delhi, Agra, Udaipur, Jaipur and Jodhpur. 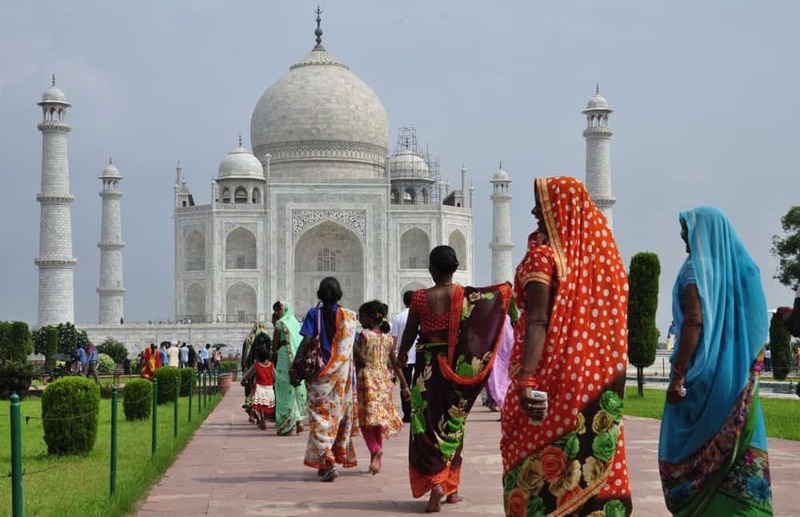 You’ll stay in palaces and luxury hotels and one of the highlights will see you visit the stunning Taj Mahal. Start your gay trip in Mumbai where you’ll be met at the airport, welcomed with fresh flower garlands. After breakfast, you’ll explore Mumbai and then cruise towards Elephanta Island, a UNESCO World Heritage site. The main attraction of the island is the four rock-cut cave temples dating back to 5th-8th century AD. 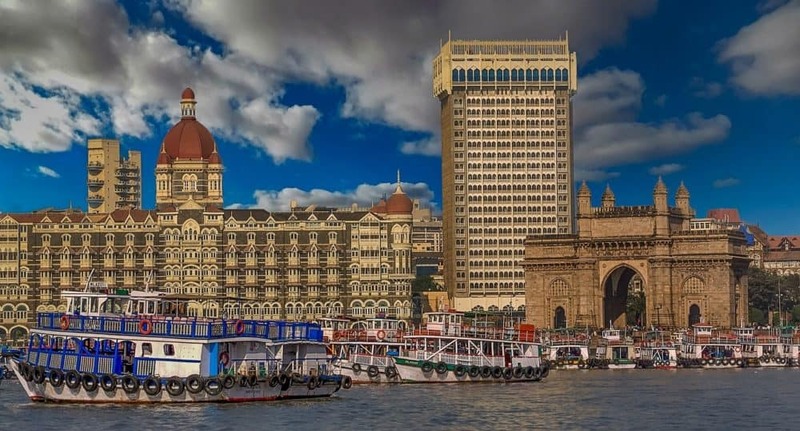 Your afternoon is free to either relax in the hotel or cover some more attractions of the city including the Prince of Wales Museum, India’s finest museum, housing treasures, artefacts, paintings and sculpture from the many periods covering India’s history. The evening is yours to enjoy at your leisure. 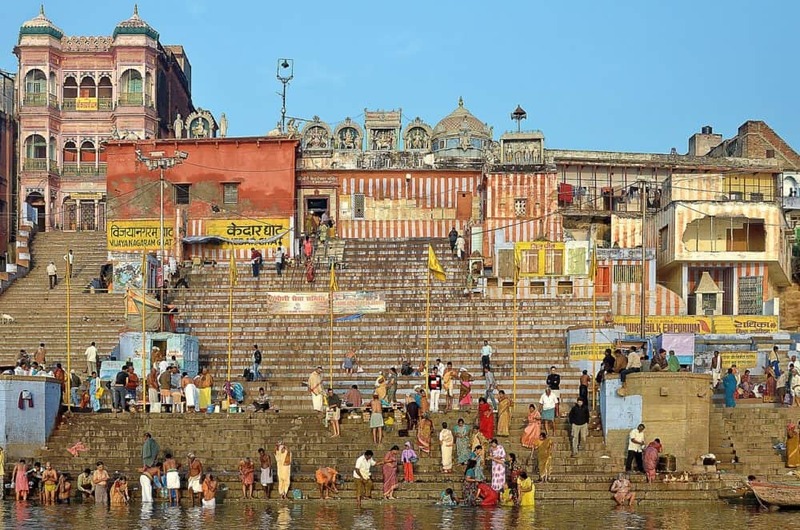 In the morning you’ll head to Varanasi – said to be India’s most sacred city situated on the western bank of the holy river Ganga. Varanasi cannot easily be described, only experienced. This evening, you’ll take a rickshaw ride through the busy streets and back alleys of Varanasi down to the river Ganges where we cruise to witness the ceremonies amidst hundreds of lighted candles and flower offerings. It’s early to rise this morning so that you can witness the sunrise over this mystical place. Temple bells ring and the locals start to go about their daily business without delay. We’ll visit Sarnath, an important pilgrimage centre for Buddhists. This is where the Buddha preached his first sermon after achieving enlightenment. This afternoon, we fly to Delhi and will visit Humayun’s Tomb, which is the first great example of Mughal architecture in India, developed to become the hallmark of the Mughal Dynasty. Lunch is at a stylish restaurant set in a historic mansion. This afternoon you can visit The India Gate, a memorial raised in honor of the Indian soldiers martyred during the Afghan war. Today we’ll travel through beautiful countryside en route to teh world famous Taj Mahal – surely the most extravagant expression of love ever created. The afternoon will see us visit the imposing Agra Fort, another UNESCO World Heritage Site. Rise early to experience sunrise at the Taj Mahal, a definite bucket list experience. A leisurely drive then takes us to the royal city of Jaipur, also known as “The Pink City” due to the predominant colour of its buildings. We’ll explore other places such as the UNESCO World Heritage Site Fatehpur Sikri, which has been described as “the world’s most perfectly preserved ghost town”. 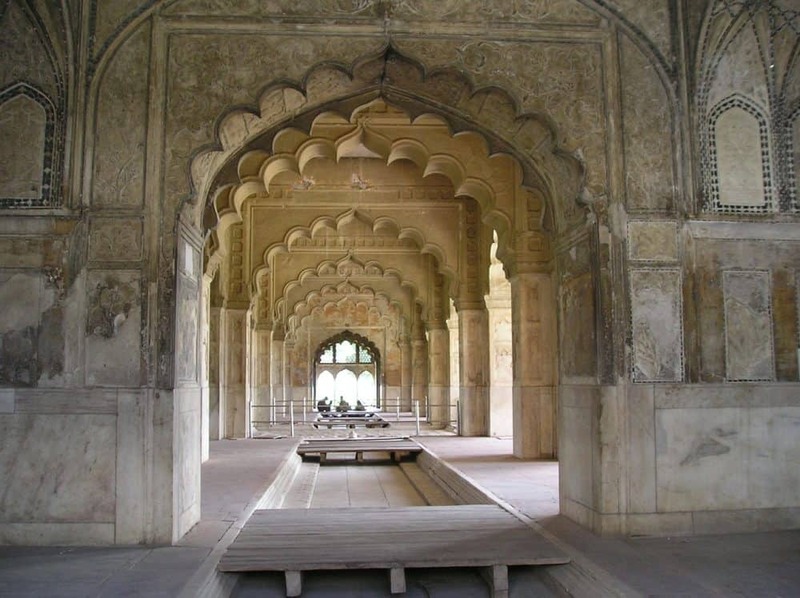 Built by Akbar in the late 16th century, it was abandoned after only 14 years, and the elegant buildings of this superb walled city remain intact to this day. The following day, we’ll start with a visit to the dramatic hilltop fortress at Amber – ascend the imposing fort on a decorated painted elephant. 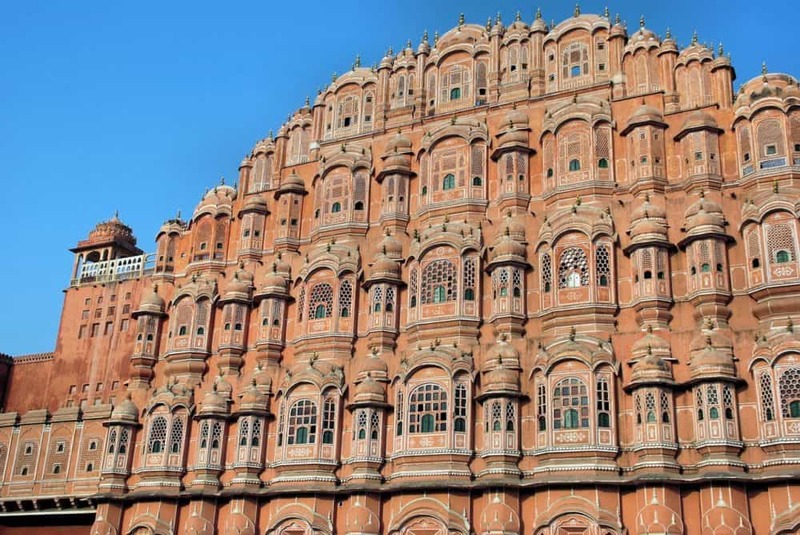 On the way back we stop to view the elegant Hawa Mahal or Palace of the Winds. This elaborate building, now little more than a façade, is encrusted with delicate screens and carved balconies from which the royal ladies, confined to their quarters, could sneak views of the outside world. In the afternoon we’ll head to the Maharajah’s City Palace, now partly a museum displaying a unique fusion of Mughal and Hindu architecture. 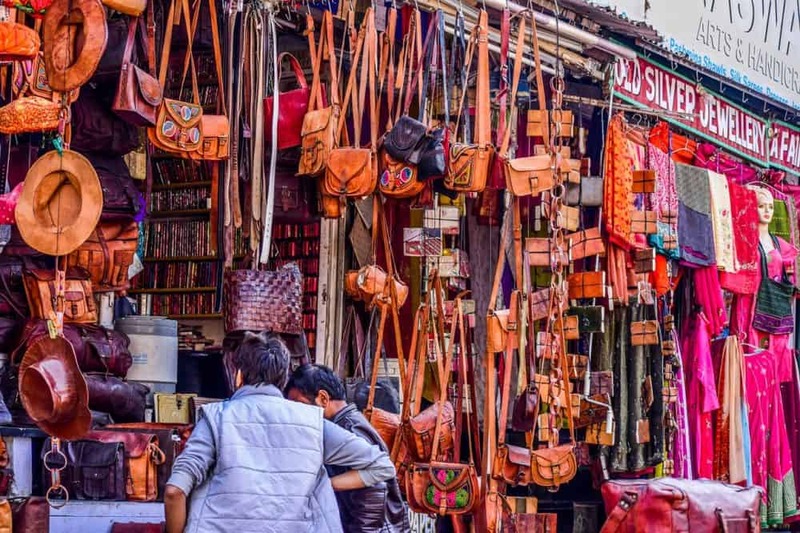 Explore more backstreets as you visit markets and find some rare gems in the alleyways of the city. 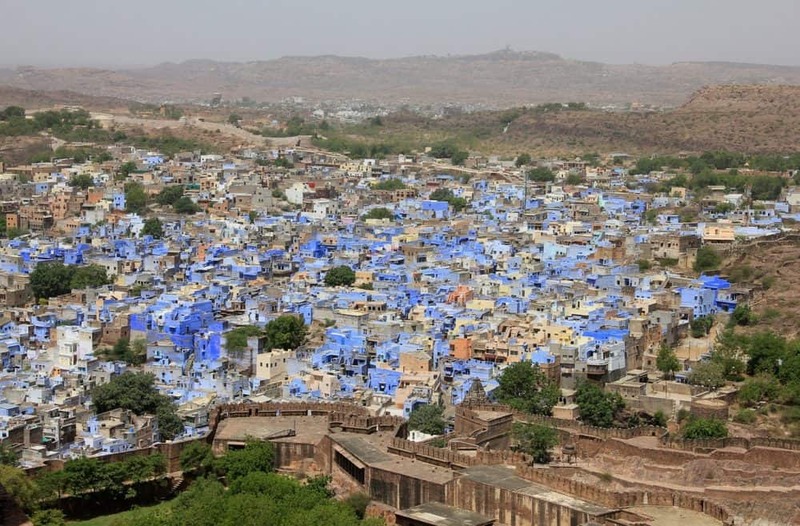 Today we travel to what’s known as the Blue City, Jodhpur. Our hotel is the Umaid Bhawan Palace and is the last of the great palaces of India. It is one of the largest residences in the world, set amidst 26 acres of lush gardens. This afternoon we’ll head to Osian where we will mount camels and head off for a short ride into the dunes and surrounding villages. We’ll head to Udaipur today which stands in a valley, amidst green hills on the banks of the wide, steel blue Lake Pichola. On little islands in the lake, from the water’s edge, raise palaces of pure white marble. The next morning we’ll wander through the opulent City Palace grounds and the museum, which are the testament to the valour and chivalry of the Mewar rulers. Today’s lunch setting is in a luxuriously restored 18th-century fort-palace nestled in the Aravali Hills. After lunch, we’ll visit Eklingji and the Nagda Temple, a beautifully sculpted temple complex that includes 108 religious structures dating back to the 15th century. This evening it’s our final meal together and a chance to enjoy the company of the new friends you’ve made one more time. If you’d like to extend your adventure, we have a number of incredible add-ons for you to choose. These include Nepal, Bhutan, Ladakh and the Maldives. Enquire for more details. Sign me up to receive news and updates. We are in the office and can take your call right now. For a free & immediate callback, enter your number below and we will call you in 27 seconds. Please double check your phone number.